Double Promo Pack - Strictly DJ Copy Only. One of the first instances of a Remix of a pop artist, by Masters At Work. Transforming a typically lackluster frothy pop track from Mick Hucknall into a club banger. Kenny’s drum programming is something to behold, having multiple kicks hitting at different frequencies to give that “umph”, and about 4/5 hi-hats going off on the Akai MPC giving the syncopated feel KD became known for. 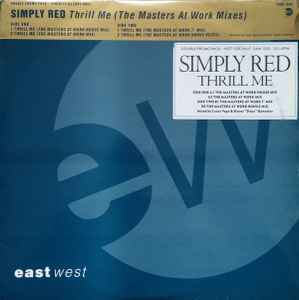 What’s even more astounding is that Simply Red actually rejected the mixes! Yet they still somehow made it out (thankfully) on a UK 2x12” import (and explains why you don’t see them anywhere else on Simply Red releases). A digital version is included on Volume 1 of The Tenth Anniversary Collection. Astounding piece from Kenny and Louie, watch the bassline on the drop at 3:40. Big Derrick Carter fave from waaaaay back in the day. Impossible to find stateside, unfortunately.